Last week, we featured the free digital edition of the The History of Cartography. Or what's been called “the most ambitious overview of map making ever undertaken.” The three-volume series contains illustrations of countless maps, produced over hundreds of years. And it, of course, references this fine specimen: A gift given to England's Charles II in 1660, The Klencke Atlas featured state-of-the-art maps of the continents and various European states. It was also notable for its size. 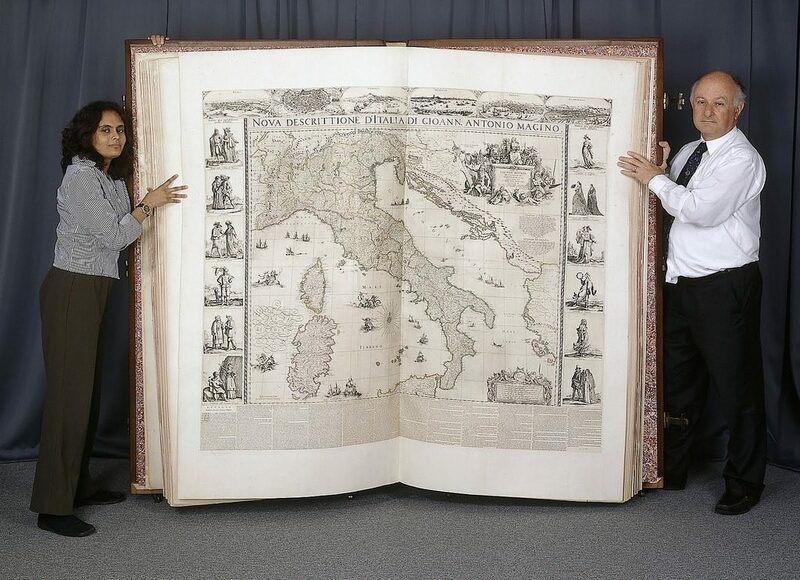 Standing six feet tall and six feet wide (when opened), the volume remains 355 years later the largest atlas in the world. Learn more about it with the BBC clip below. A Wonderful Scientific Map of the Moon from 1679: Can You Spot the Secret Moon Maiden? No Gloves used in handling this treasure? In the British Museum? Put on some gloves you twits!